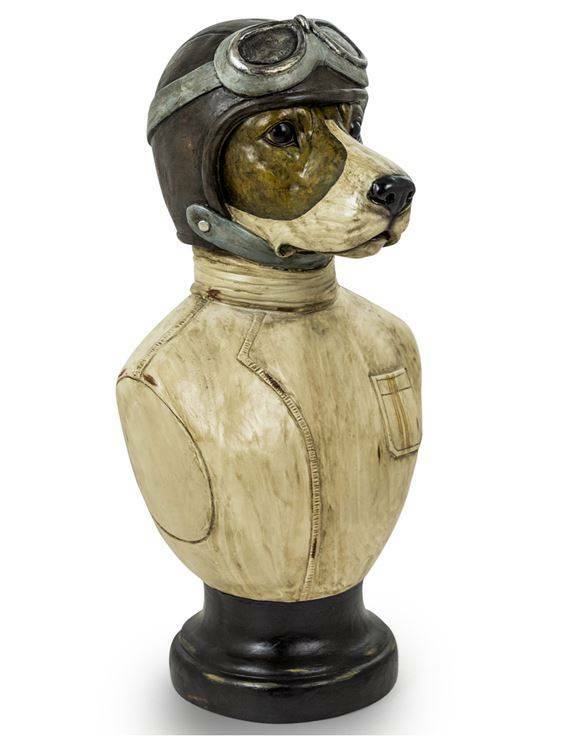 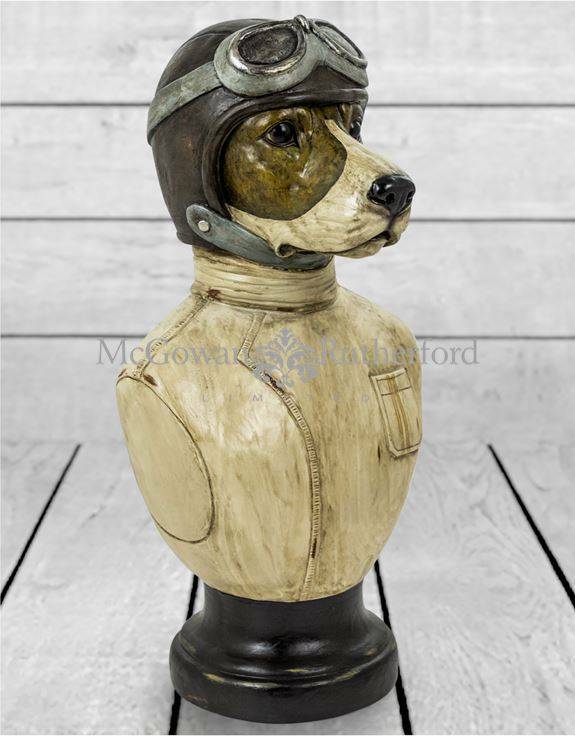 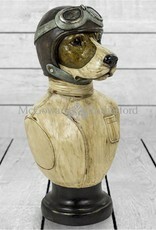 Superb quality large bust of a dressed beagle in vintage style racing helmet and goggles. 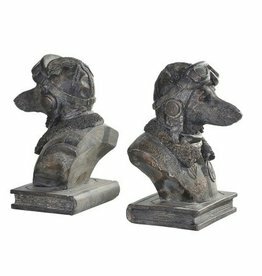 Antique silver bull dog bookends. Made from high quality resin with a antique silver finish.